Fantastic mountain site about a stone's throw away from the Steamboat Ski Resort base area! 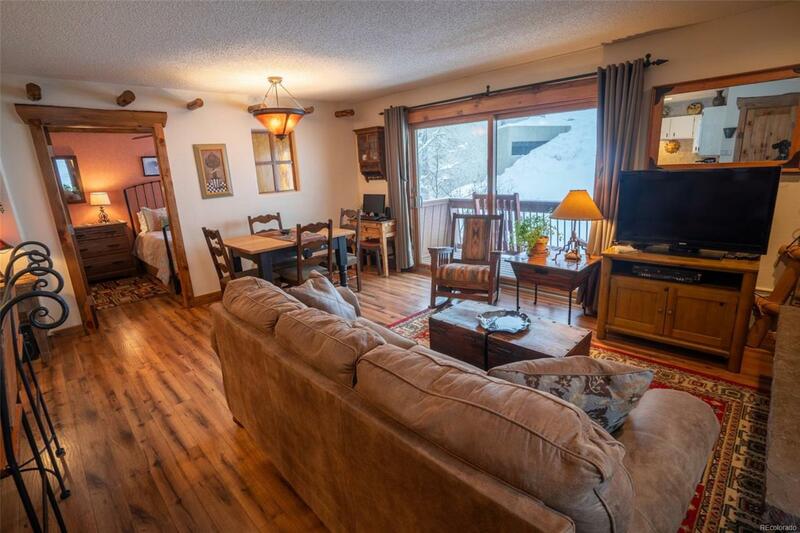 The cozy and welcoming atmosphere of this 1BD/1BA corner unit, blended together with captivating modern & rustic touches would make anyone want to kick off their shoes, warm up by the fireplace or outdoor hot tub after a day on the slopes. Accompanying the location- you are within walking distance to Ski Time Square shops & restaurants, free-bus routes and year-round events that Steamboat has to offer, no matter the season! Perfect for those who want to be right where the action and activities are- apart from world class skiing and mountain biking makes this a suitable primary home or vacation property.